This week we’re celebrating Mini’s first steps into the culinary world. 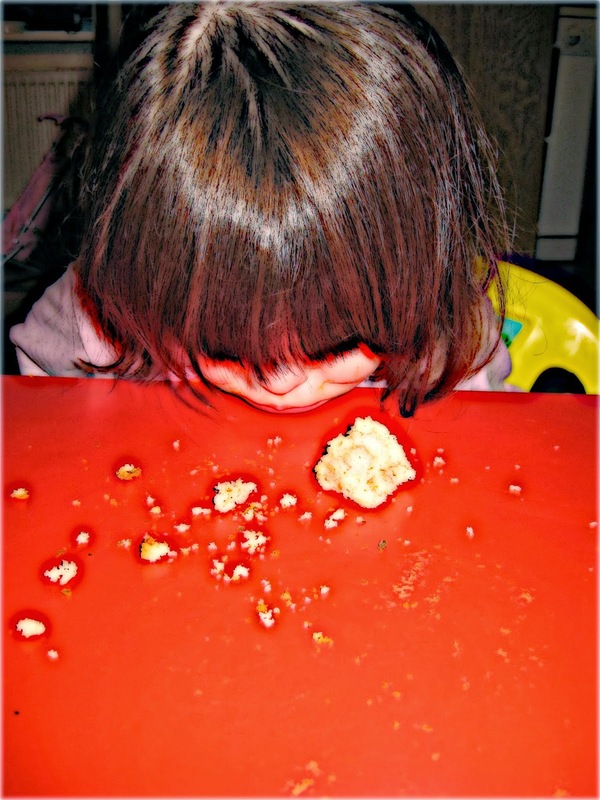 The Frenchman is mad to get Mini interested in baking and cooking. 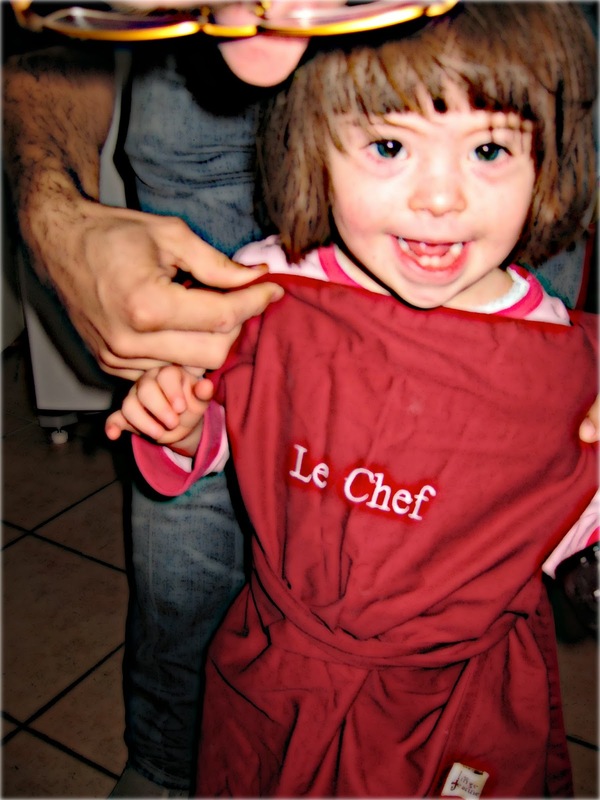 He’s hoping he’ll have a little chef to follow in his footsteps. I’m happy for Mini to get into it as a hobby but quite frankly, I’d be happy for her to stay away from this profession. Who else would work those hours for that amount of pay and have to endure those levels of stress? Lunatics the lot of them! 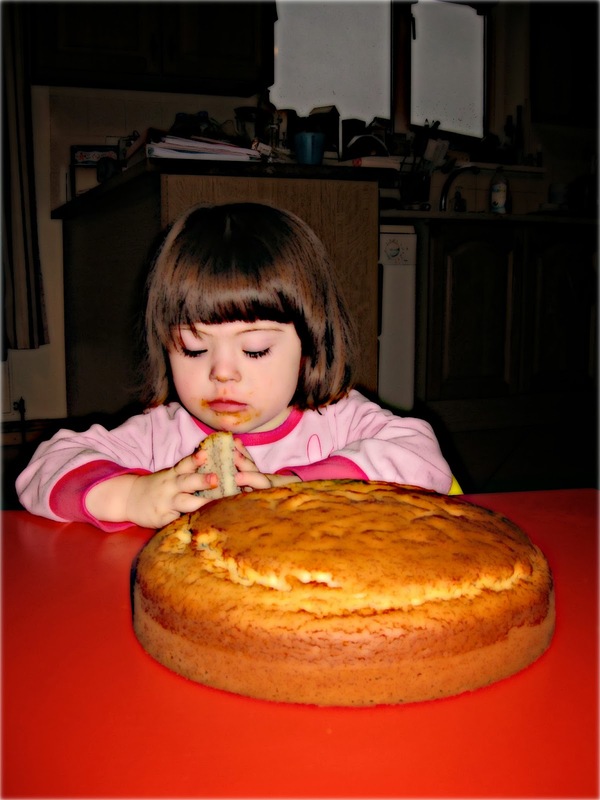 Yesterday we gave her her first taste of home baking. She’s still a bit small I feel, but she seemed to enjoy herself and by the end was helping Papa to mix the ingredients with the big spoon! We started with a very simple recipe( so simple even I, the burner of toast can manage) Gateau au yaourt. 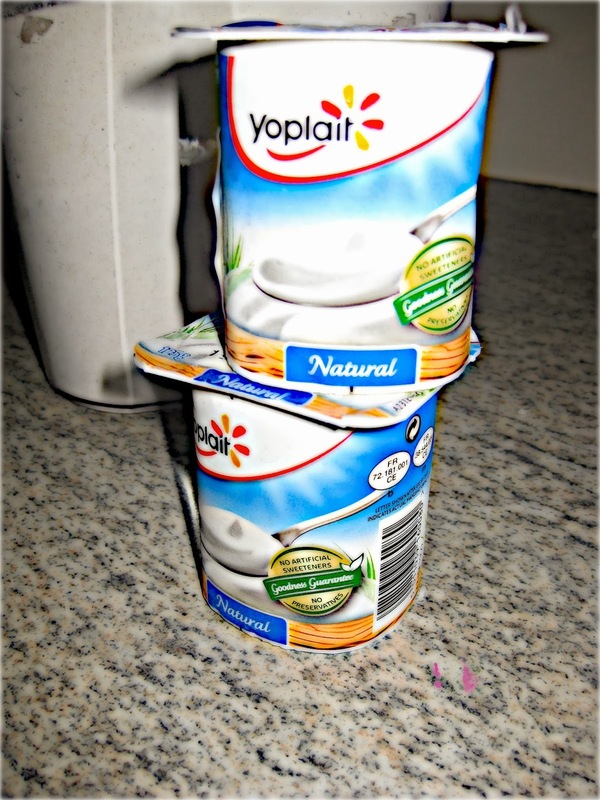 2 pots of natural yogurt. Nearly 1 pot of vegetable oil. Step 1: Preheat oven to 190 degrees Celsius. 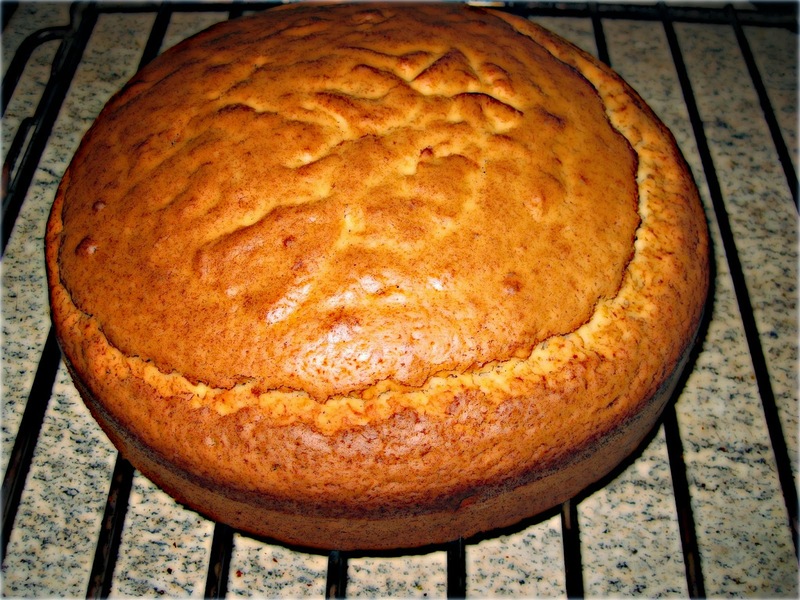 Grease and line a 9.5 ” or 24cm round cake tin. 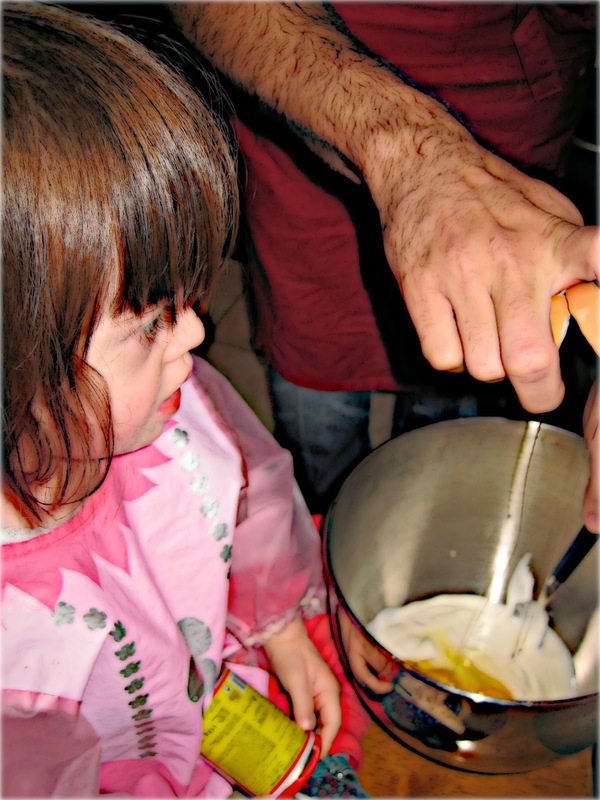 Step 2: Place the eggs, essence, yogurt, oil and sugar in a bowl and mix together gently. Step 3: In a separate bowl, combine the flour and baking powder. Step 4: Mix everything together gently until all ingredients are well combined. You can also add a pot of chocolate chips, 2 pots of berries or whatever else takes your fancy. Step 5: Spoon everything into your cake tin and bake for 30-35 minutes. If it doesn’t pass the knife test, leave for another 5 minutes. It should be crispy on the outside, lovely & fluffy on the inside. Step 6: Leave to cool on a wire rack. This post is linking up with Small Steps Amazing Achievements hosted by the fabulous Ethan’s Escapades. The linky is full of inspiring tales from parents and their little achievers. Head on over and check them out-the perfect hump day tonic! What a fantastic cake, I think I might make this on Friday with Ethan, just need a cake tin. I think she did really well, I know how hard it can be to get them to join in!